Jewish Galicia and Bukovina (JGB) is a non-profit organization dedicated to the documentation, preservation and educational dissemination of the history and rich cultural heritage of the Jewish communities of Galicia and Bukovina. These areas are located in modern-day Ukraine (eastern Galicia - Lviv/Lwow region and northern Bukovina - Cernivtzy/Czernovits region), Poland (western Galicia - Krakow region) and Romania (southern Bukovina up to Suceava and Siret). Galicia and Bukovina were major Jewish centers as far back as the 13th Century and were home to over one million Jews, with unique cultural characteristics and a vibrant intellectual and spiritual life. These regions produced prominent Jewish thinkers, rabbis and Hassidic courts, who created influential texts and institutions that have had a long-lasting impact on the Jewish world. The Torah scholars and Jewish intellectuals of Galicia and Bukovina were known for their tolerance and openness towards modernity, while being firmly rooted in Jewish tradition and learning. This thriving Jewish world was wiped out in the Holocaust. The outstanding cultural accomplishments of these regions are not widely known in the Jewish world. They have been insufficiently documented and inadequately researched by academic scholars. • Developing an online free of charge database on the Jewish history of Galicia and Bukovina. 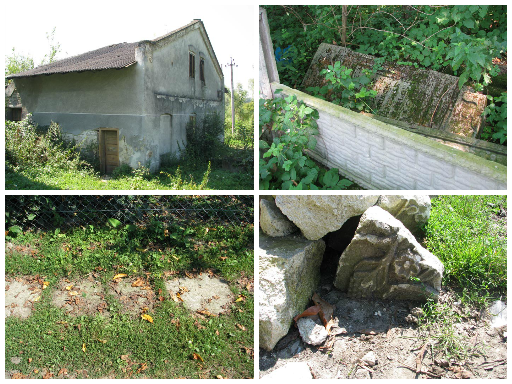 • Annual fieldwork teams documenting the physical remnants of Jewish life. • Preserving the cultural and rabbinic heritage of these Jewish communities. • Extending fellowships to Israeli and Ukrainian students who are researching relevant topics for advanced degrees. The forerunner of Jewish Galicia and Bukovina, known as The Institute for Commemoration of Galician Jewry, was founded in 1987 by Rabbi Meir Wunder, who dedicated several decades to compiling the seven-volume Encyclopedia of Galician Sages. This opus presents detailed genealogies of Galician rabbinical families, and is one of the most extensive and reliable sources of rabbinical genealogy written in the twentieth century. The Institute also published several other books, including biographies of Hassidic spiritual leaders (Rebbes) and Grandeur and Glory: Hod Vehadar - Remnants of Jewish Art in Galicia (Wunder et al., 2005). In 2008, the Ludmer Fund was launched, which began to work with Hebrew University of Jerusalem and several other universities in Israel and abroad with the goal of reviving the unique heritage of Jewish Galicia and Bukovina as vital to the broader understanding of Jewish history in modern times, and bringing to life the memory of those Jewish communities that have perished. In 2011, the Ludmer Fund and the Institute for Commemoration of Galician Jewry joined forces, and became the “Jewish Galicia and Bukovina” association. At first we focused our research on archival documents and personal testimonies describing the life of the Jews in Galicia. We also began to document the physical remains of the communities – communal buildings, Jewish cemeteries, synagogues, and other structures. So far we have sent four teams of researchers and students from Israel and abroad to examine and document physical sites in numerous cities in Galicia and Bukovina which once had big Jewish communities (See more here…). This website was established as part of our aim to set up a comprehensive database of primary materials pertaining to the Jewish communities of Galicia and Bukovina. While the database will meet exacting academic standards, it will also provide the general public with online access to a wide array of cultural and historical materials in a comprehensible format. For a number of reasons Galicia and Bukovina Jewry have been researched less in comparison to other areas in Eastern-Europe. Due to this, our association offers fellowships to doctoral and post-doctoral students from both Israel and Ukraine for research projects connected to Jewish history in this region. The fellowships awarded Ukrainian scholars also support their stay in Israel for one year to advance their research. (See more here…). We see great importance on awarding these fellowships and seek to establish a leading role for Israeli academia in studying these communities. We are committed to seeing that the rich Jewish culture that once flourished in the region will be remembered and passed on to future generations in Israel and throughout the world. 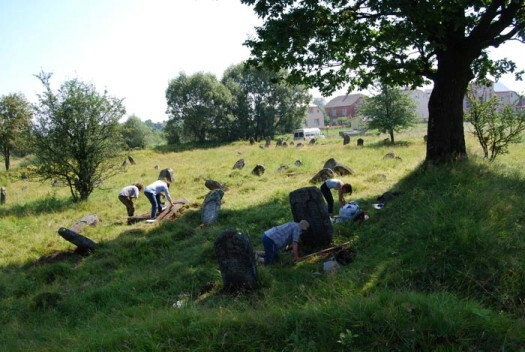 Finally, Jewish Galicia and Bukovina, through its research and dissemination efforts, is preserving the spiritual heritage of Galician and Bukovinian Jewry for posterity and in doing so is engaging hundreds of the descendents of former residents of Galicia and Bukovina in a search for their cultural and historical roots. If you have historical materials of any kind about the Jews of Galicia and Bukovina and would be willing to share them with us please contact us. We invite you to register to get our newsletter and become a friend of Galicia and Bukovina. Your contribution will be highly appreciated and will help us expand our fields of activity and advance the research on the Jews of Galicia and Bukovina. Galicia and Bukovina are historical regions in Eastern Europe. They gained their distinct character when Galicia and Bukovina were under the Austrian rule from the late eighteenth to the early twentieth centuries. The name Galicia (Ger. Galizien) was derived from Halicz (Ukr. Halych), a town which was the center of the medieval Halych-Volynian Principality, initially a part of Kievan Rus'. In the 1340s, the largest part of the Halych principality was included into the Polish Kingdom. In 1772, after the first partition of Polish-Lithuanian Commonwealth, the areas known as Rus Czerwona (Red Russia/Ruthenia) and Lesser Poland were taken by Austria. Together they formed one of the Austrian crown lands under the name the Kingdom of Galicia and Lodomeria. 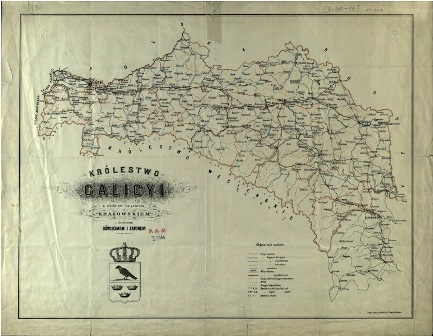 In 1918, Galicia was regained by the independent Polish Republic, although a short-lived West-Ukrainian People's Republic existed in Eastern Galicia in 1918-19. In 1939, Eastern Galicia was annexed by the Soviet Union and became a part of Soviet Ukraine. Since 1991, this area belongs to the independent Republic of Ukraine. For an in-depth overview of the Jewish history in Galicia see the entry Galicia by Rachel Manekin in the YIVO Encyclopedia of Jews in Eastern Europe. Bukovina (the name derived from a Slavic word buk, meaning beech tree) was once the core of the Moldavian Principality. In the sixteenth century it came under the suzerainty of the Ottoman Empire. In 1775 it was annexed by Austria; in 1918 incorporated into Romania, and in 1940 it was divided, with Northern Bukovina being annexed by the Soviet Union and now is part of the Republic of Ukraine, while Southern Bukovina remained part of Romania till today. The results of our research are openly available to the public. The spelling of geographical names presents a special problem in this region, which over the long course of its history was incorporated into several different political entities. While we provide place names in all relevant languages in sub-headings, only one version of each name is used in the actual body of the texts. We have decided to adhere to the historical principle and employ the communities' names as they were officially known during the period discussed, as well as the names used by local Jews. This decision has nothing to do with current political issues. The spelling of private names poses not a smaller problem. Therefore, when a name is known from a Hebrew text, it is spelled in English according to the modern Israeli pronunciation. Names from the texts in Latin characters are brought here as they are. We need your financial support to undertake this incredibly important project. Читати далі про Support us! Galicia and Bukovina were major Jewish centers as far back as the 13th Century and were home to over one million Jews, with unique cultural characteristics and a vibrant intellectual and spiritual life. These regions produced prominent Jewish thinkers, rabbis and Hassidic courts, who created influential texts and institutions that have had a long-lasting impact on the Jewish world. The Torah scholars and Jewish intellectuals of Galicia and Bukovina were known for their tolerance and openness towards modernity, while being firmly rooted in Jewish tradition and learning. This thriving Jewish world was wiped out in the Holocaust. This section offers a look in to the glories Jewish world and its remnants in today Ukraine and Poland. You can read a general overview and a number of articles on the historical background of the Jews in Galicia and Bukovina. You can view our collection of historical maps. We offer general maps of the entire area and maps of specific cities. We offer close to 500 community pages detailing the history of the Jewish people in each community and links to other websites for further research. 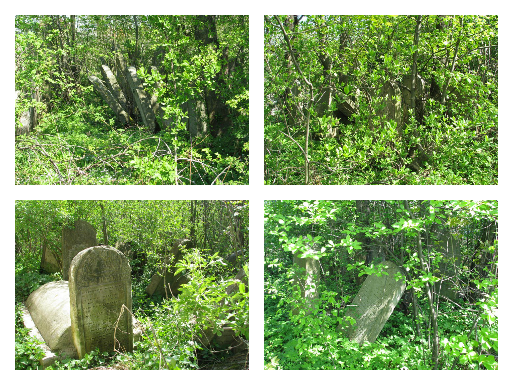 We have a large collection of tombstones assembled by our field schools in a number of cemeteries in Galicia. You can see a photograph and the epitaph of each tombstone. The bibliography section contains descriptions of scholar books and articles regarding to the Jewish history and culture in Galicia and Bukovina. This section is constantly expanding with the most recent publications in the field. 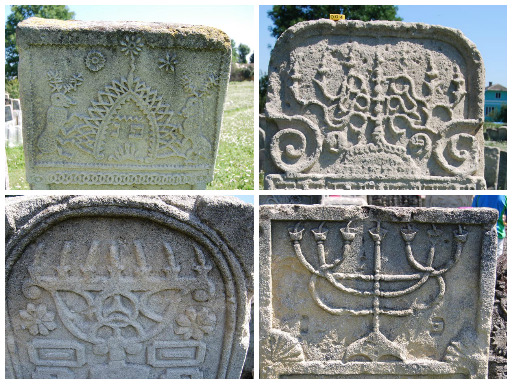 Galicia and Bukovina were the origin of a Jewish heritage that stands out for several unique features. Located at the intersection of areas of Polish, German, Ukrainian, Romanian and Russian cultural influence, these regions saw the emergence of a particularly creative and dynamic Jewish culture. They provided the backdrop for major advances in rabbinic literature and modern Jewish thought, and were the site of some of the most vibrant and influential Hassidic courts. They were also the site of origin of several notable modern Jewish writers, the most famous of them being Shmuel Yosef Agnon (in Hebrew), Itzik Manger (in Yidish), Joseph Roth and Paul Celan (in German) and Bruno Schulz (in Polish). Additional individuals of note are Jews of Galician and Bukovinian origin who made notable contributions to several of the arts, scholars, statesmen and scientists. You can search the notable people database by name, community, year of birth and death and by occupation. This section includes archival material from different archives in Poland and Ukraine and from the Central Archives for the History of the Jewish People in Jerusalem, as well as private documents and letters. These special historical materials give us a unique look into the Jewish world of Galicia and Bukovina, in all aspects of everyday life. 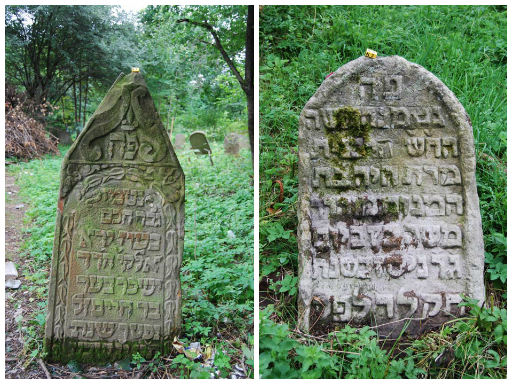 * Developing an online free of charge database on the Jewish history of Galicia and Bukovina. 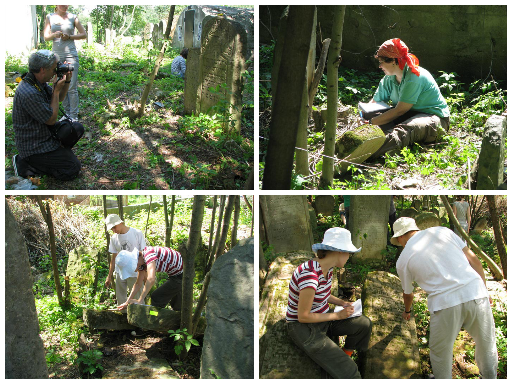 * Annual fieldwork teams documenting the physical remnants of Jewish life. * Preserving the cultural and rabbinic heritage of these Jewish communities. * Extending fellowships to Israeli and Ukrainian students who are researching relevant topics for advanced degrees. The project Jewish History in Galicia and Bukovina is designed to preserve the once vivid world of Galician and Bukovinian Jewry. Our goal is to save historical documents and vestiges of Jewish material culture in Galicia and Bukovina before these historical records and objects disappear. We intend to make them available to the wider public as well as to the growing community of researchers worldwide through this website. With the development of various ideological movements among the Jews of Galicia and Bukovina in the second half of the 19th century, modern political, communal and educational organizations were established alongside the traditional Jewish charities and religious associations (havarot). These voluntarily organizations mirrored the unique social, economic and religious makeup of every community. These organizations took part in all areas of everyday Jewish life: welfare, employment, education, and religious and cultural life. Some of the organizations were an integral part of the regional activity of social and political movements such as the Haskala (Jewish enlightenment), the Zionist movement, Yiddishism and the socialist movement. You can search this database by the name of organizations, community and type of organization. The title of each organization describes the name and location of the organization. For example: Gmilut Hasadim in Tarnopol. This section offers photographs taken in recent years as well as historical pictures, photographs and other artistic materials of the Jewish cemeteries, synagogues, old Jewish houses and Jewish life in Galicia and Bukovina. You can also view photographs of our different activities and personal collections. If you have photographs of Jewish life in Galicia and Bukovina we will be happy to add them to the website. To send us the photographs click here. 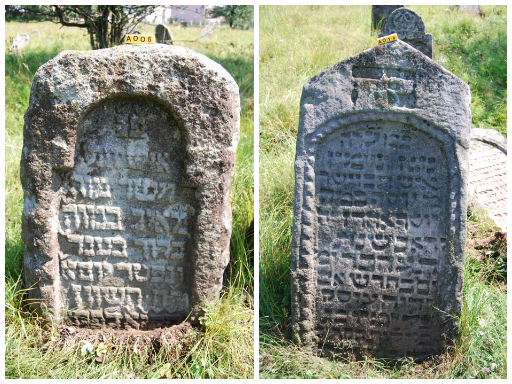 Tombstone of Yoel Haim Son of Asher Antshel, first half of the 19th c.
A simple article item with text.